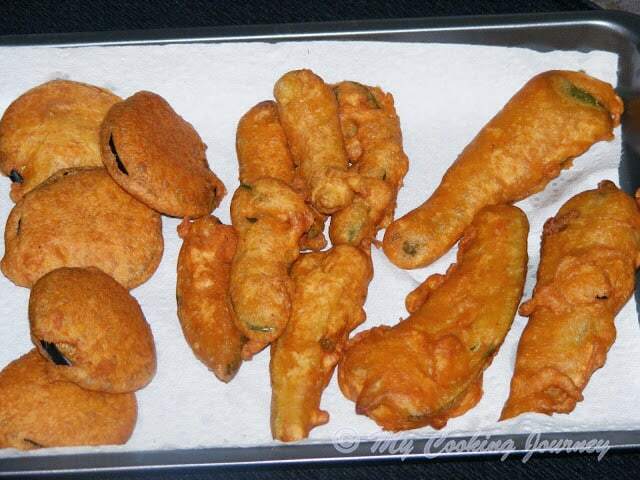 Bajji is a very popular street food all over India. This not so often made snack (to watch our waist lines) is so yummy, that when made you can’t stop with eating just a few. This is one of the main reasons; I make it only few times a year. 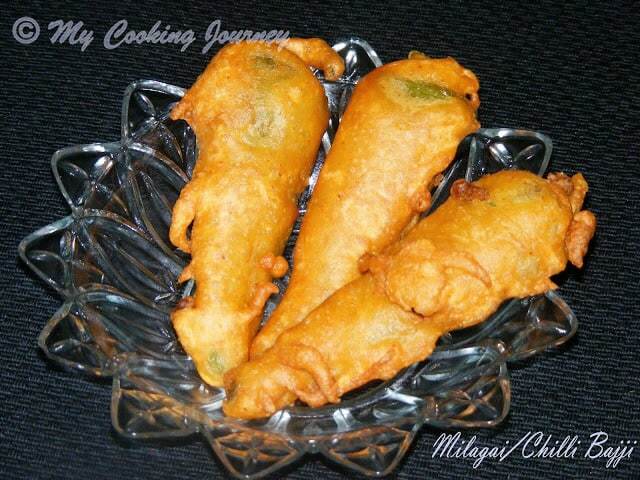 When my backyard is overflowing with fresh vegetables in summer, I am usually tempted to make this bajji’s. 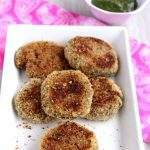 This time, my mother taught me to make bajji’s with eggplants which were so smooth and silky inside and crispy on the outside. For the past couple of years we have been planting the Banana peppers (Bajji milagai), which are mildly spicy and very flavorful in our garden. There are very few dishes that could be made and Bajji’s are one of the popular items made with this pepper. 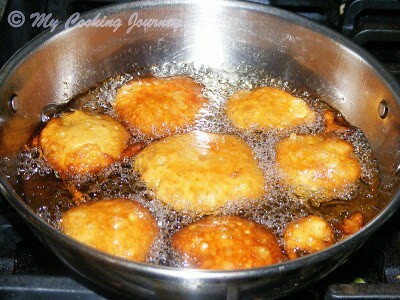 So this summer, I have already made bajji’s twice and might make them once more before the session ends. 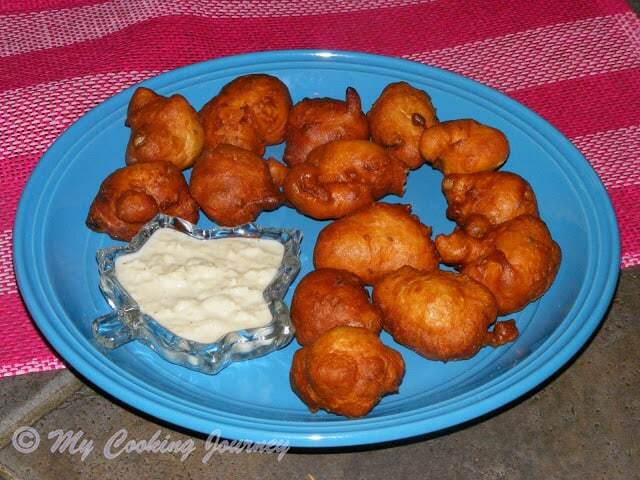 Bajji’s take me back to my childhood days in Madras. 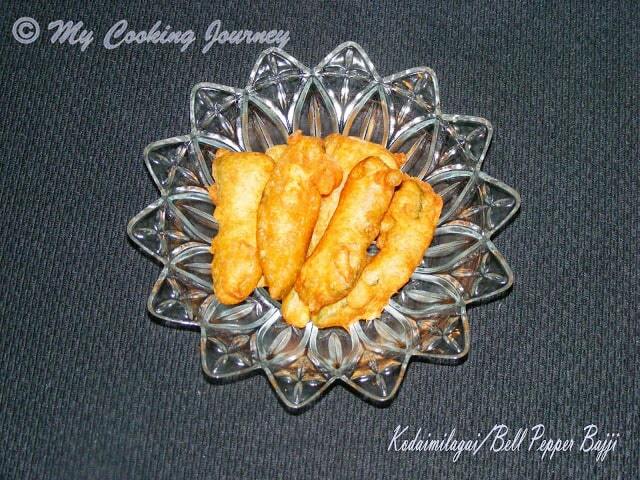 My thatha (grandfather) used to come back from work with these delicious bajji’s from the Bajji mama kadai in Adayar. Anyone from that area would remember the famous bajji kadai just next to Adayar Bakery. 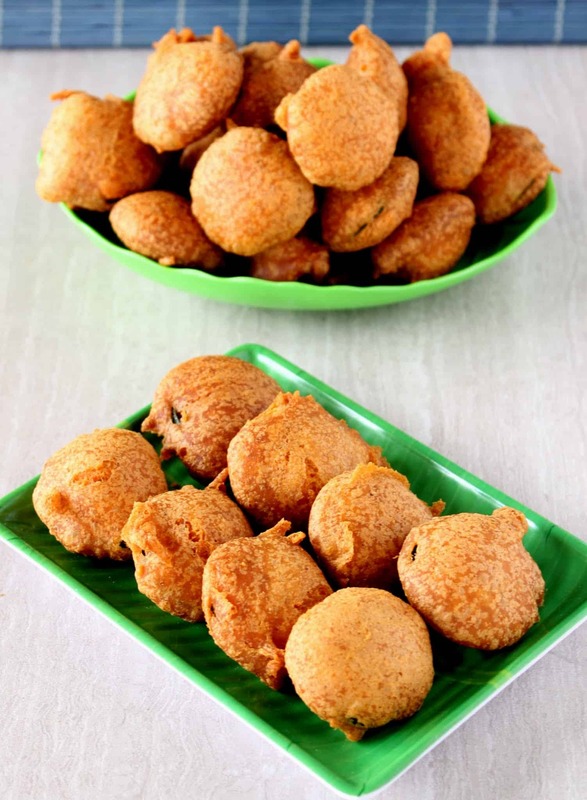 There bajjis, bondas and vadais are so flavorful and yummy that it would want you to back to them over and over again. My thatha would bring back assorted bajjis and we would all split it between us and make sure to taste every kind. Just to see this smile on our face, my thatha would get down from the bus near this shop, buy bajjis and then walk all the way home. My thatha loved to eat and hence he would make us try lots of different things and would never say no to anything we ask for. Really miss him a lot. So thatha, this bajji is for you! 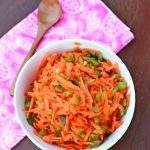 Prepare the vegetables – Clean all the vegetables and wipe them dry. With the eggplants, slice them horizontally into circles about 1 cm thick. With the milagai, cut them straight in between vertically, remove all the seeds and then keep aside. 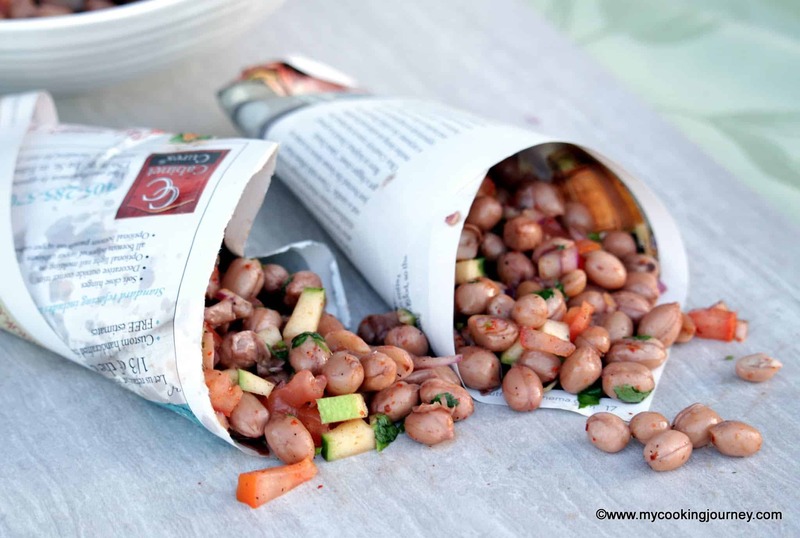 If preferred, you could just make a slit and remove the seeds and then keep the peppers intact. I cut them into two, because mine were very big. 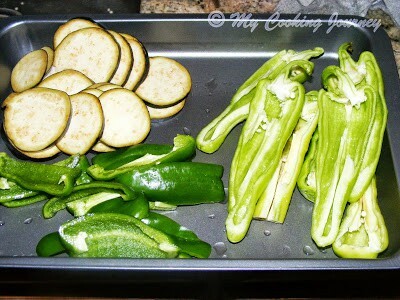 With the bell peppers, cut them into 1 inch thick vertical slices. Keep this all aside. 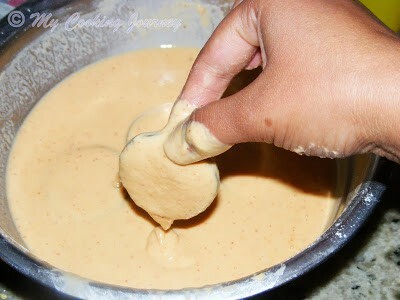 To make the batter – Combine all the ingredients except the oil and the vegetables and mix well. To this add a tbsp of hot oil. This step helps in preventing the bajjis from soaking too much oil. 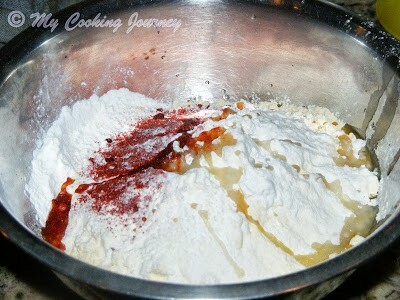 Now slowly add water and make it into a thick batter. The batter should be just thick enough to coat the vegetables. Dip individual slices of vegetables in the batter and then add it to the hot oil. Fry on both sides until golden brown and drain it on a paper towel. 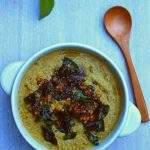 Serve hot with tea as a snack or as I like it, for dinner with a bowl of curd rice. Keep all the flour handy when making the bajjis. Depending on the size of the vegetables, the batter might not be enough to make them all. If that happens, you could just eyeball it and add a handful or 2 of each flour, add more salt and then make the batter again. Any other preferred vegetables could also be used like potatoes, cauliflower, bread, onions, raw banana and so on. If using cauliflower, I would steam them first to cook it half way through and then dip it in batter. very very tempting bhaji's 🙂 so many varieties making me drool dear 🙂 prefect for a rainy day !! Never say no to bajjis! Slurp!!! want to have them all!!! 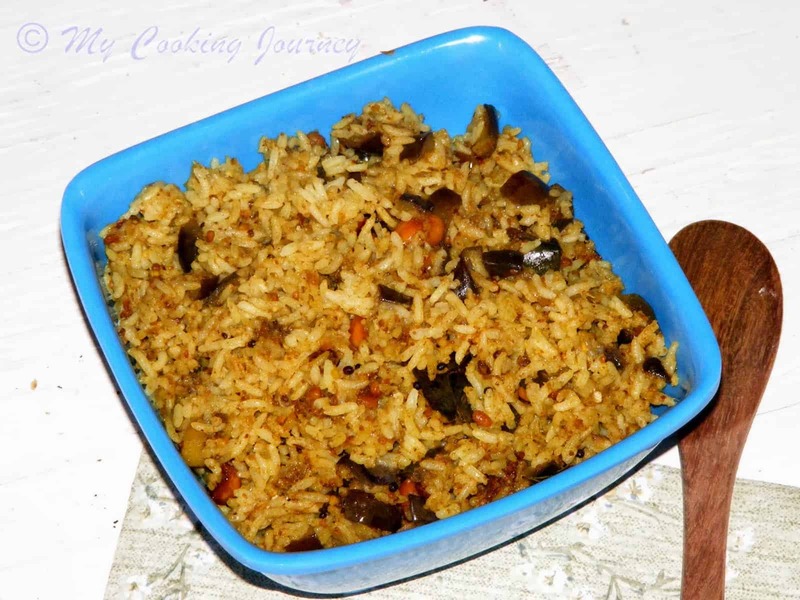 so comforting and delicious!!! 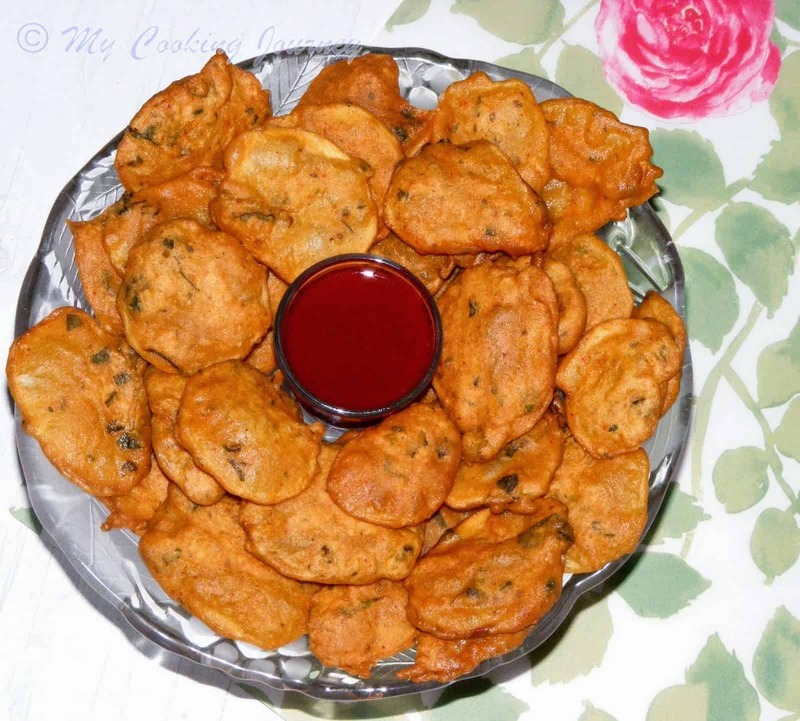 I love vegetable bajjias, so tempting in monsoon or winter season with tea or coffee. wow..loved the assorted bajji platter, SANDHYA..
Wow I won't mind if you offer everything out there! 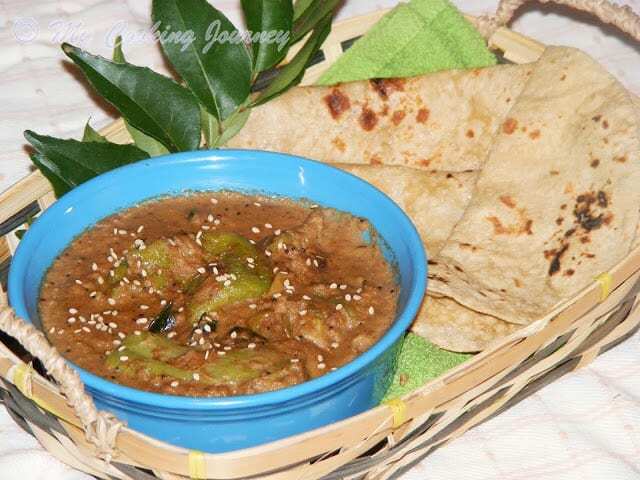 You mention your thatha used to bring these lovely bhajjis home for you. It reminds me of my FIL who also used to bring all sorts of Indian goodies home. 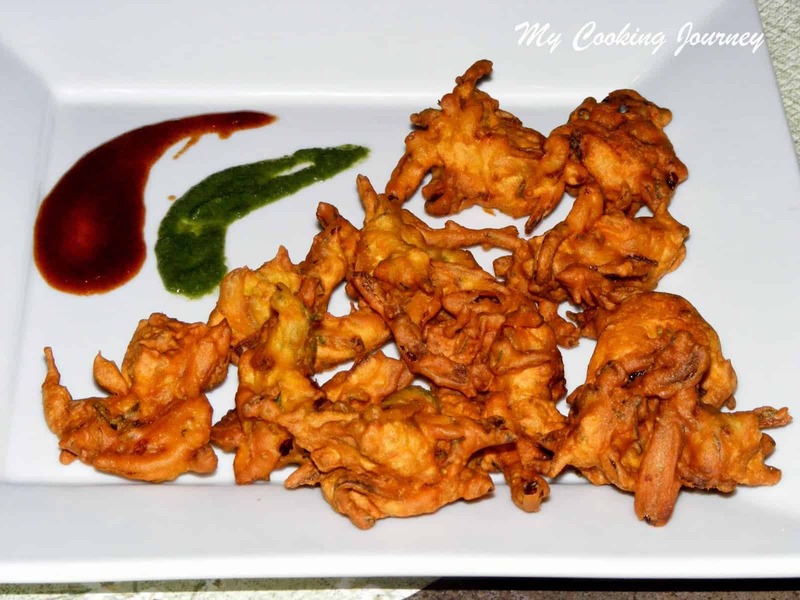 Your bhajis look so tempting. It's always lovely to make a mixed batch. 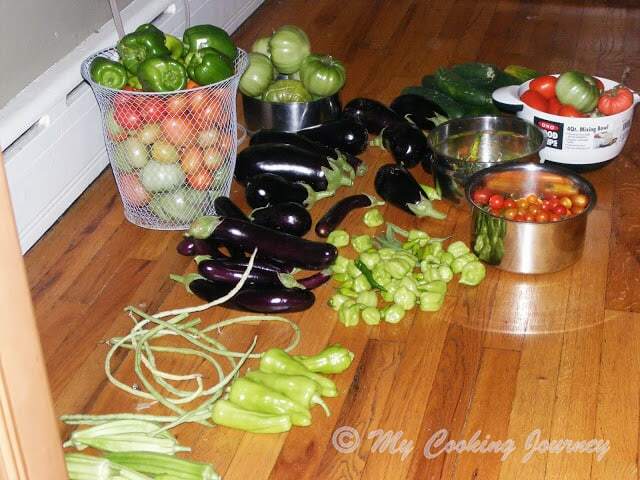 I love all the vegetables you have grown in your back yard too!! 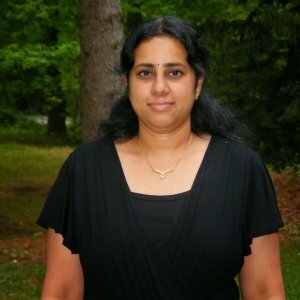 I envy u sandhya having such a beautiful garden and enjoying the full benefit of fresh veggie at home hmm…. love this bajji so I f I visit u I can get bajjis any time heheeh. 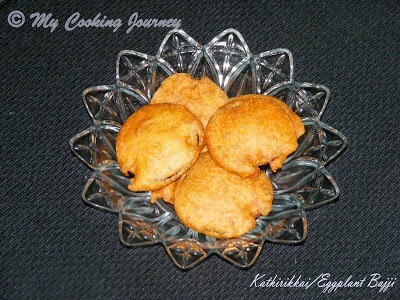 Yummy bajji's .. Can't resist without having one..
Great bahji recipe. What lovely veggies you grow in your backyard! Looks very tempting. wow!!! !Who can say no to bajji!!!! Loved the display of vegetables…even we grow a few veggies in our kitchen garden and the taste of these is super…and all these bhajias are so so mouth watering. OMG such beautiful veggies. love them all. They are so fresh and beautiful. Bhajis ares a weakness at our place too! Chansayilla pa..Love your veggies..Sure it is a art to grow veggies and love to taste your awesome bajjis with these fresh vegetables..